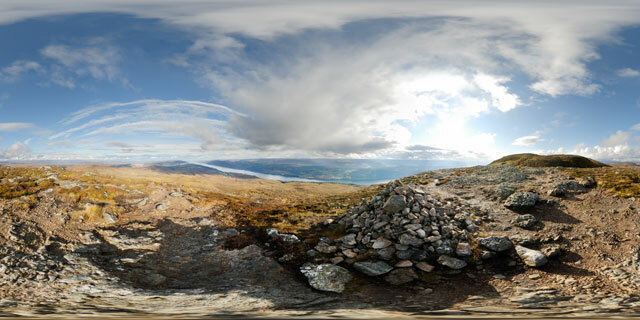 360° VR panorama from a minor summit of Meall Fuar-mhonaidh, near Loch Ness, Scotland. There are a number of minor summits on the hill, all topped with cairns, as well as the real summit. The hill is classed as a Graham, with the highest point reaching a height of 699 metres above sea level.